When shopping for organically grown and processed food products, look for the "Certified Organic" label (有机认证, youji renzheng) by the OFDC (Organic Food Development Center). This is an independent food certification agency of the State Environmental Protection Administration accredited by IFOAM (International Federation of Organic Agricultural Movements), an internationally recognized umbrella organization. Also look for food products marked with the COFCC (China Organic Food Certification Center) label, and the National Organic Food label. Organic products are labeled "China Organic Product" (中国有机产品, zhongguo youji chanpin), while products made during a period of conversion to organic methods are labeled "Conversion Product" (中国有机转换产品, zhongguo youji zhuanhuan chanpin). Watch out for the "Green Food" label: This label only denotes foods that have been grown with limited amounts of legal pesticides; products marked with the "Green Food" label are not organic. Most of City Shop’s produce is imported from Shanghai. You’ll find a great variety of cheese, deli meats and specialty items including gluten-free pasta and hard-to-find dairy-free items, including dairy-free ice cream. If you’re comfortable using Chinese, you can special order items from Shanghai that the Beijing store doesn’t stock. You can also order items online. This Shunyi restaurant emphasizes organic, locally sourced produce. Little ones will love the kids’ room equipped with a DVD player and toys. Their gift shop also stocks natural soaps and eco-friendly goodies. For car-less downtowners, transportation can be a headache but their delicious Sunday brunch (RMB 180/person, 11am-3pm) is worth the trip. Reservations are a must. See Directory under "Buffets" for listing. Foreign-owned and managed, the WHS has become an invaluable resource for organic and health-conscious families. They stock everything from showerhead filters and soap nuts to gluten-free bread mix and cold-pressed oils. Take time to look through their range of imported herbal supplements. You can now pick up your De Run Wu organic farm produce from WHS stores and save on the delivery cost. Contact De Run Wu or WHS for details. See Directory under "Supermarkets" for listing. In their own words, Jessie and Scott of the Whole Soul Bakery are "dedicated to the idea of feeding your body as well as your soul." Their desserts are free from preservatives, added sugar, wheat, and dairy. All brownies, cookies, and bars priced at RMB 80 per batch of six. Cakes and pies are priced at RMB 100, and include a reusable glass pie pan. For details on how to order, visit their website: www.wholesoulbakery.weebly.com. See Directory under "Bakeries & Desserts" for listing. Organic Earth sells a wide range of quality organic, vegan skincare and bath products. They don’t use or add synthetic fragrances, colors, preservatives, foaming agents, fillers, stabilizers or animal products of any type. Good news for people with sensitive skin: Everything comes with a full list of ingredients so you know exactly what goes into each product. E-mail info@organicearth.cn for their latest catalog and ordering details or visit one of their retail locations. Factory tours are also available. This modern Scandinavian home accessories store is stocked with colorful, environmentally friendly products made by well-known designers. Materials used include organic cotton and wool, hemp and new bone china, and follow environmentally friendly production processes such as low dye printing and PEVA, a non-toxic PVC coating. Their small range of kids clothing is also worth a look. See Directory under "Clothing" for listing. Stocks a large range of energy-efficient light bulbs. See Directory under "Gear" for listing. Save money and the environment by never having to buy bottled water again. Aquasana produces high-quality water filters for your taps and showers using US EPA and FDA-approved technologies. While little can be done about outdoor air pollution, we can certainly have an impact on the air we breathe inside our homes and offices. IQ Air has been providing air-cleaning solutions since 1963. Swiss precision and technology go into every unit, creating an excellent price-to-performance ratio. See Directory under "Services" for listing. Run by an Australian mom of two, BabyGro stocks various organic products. Here you’ll find Avado, a baby and kids’ skin care products range from Australia that uses organic avocado oil. Also available is Avado’s stretch-mark crème for moms. Or check out the Earth Mama Angel Baby organic skincare range imported from the US. 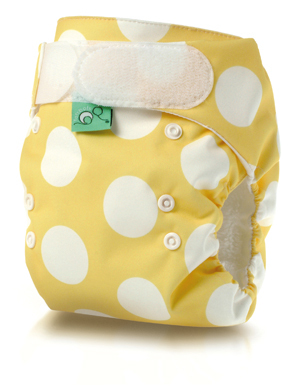 If it’s cloth diapers you’re after, BabyGro stocks two UK brands: Mio and Tots Bots. And we can’t leave out the biodegradable organic bamboo baby wipes from Clearly Herbal. Established by an eco-conscious Shanghai expat mom, Wobaby sells clothing for newborns to kids age 6 years old. Find thick and soft certified-organic cotton jumpsuits, shirts, dresses, skirts, kimonos, pants and sleepers. Their winter range includes sweaters, vests and booties woven from high-quality, China-sourced organic Yak Down. You can even find a few bamboo blends. Check their website (www.wobabybasics.com) for Beijing and international stockists. At this nonprofit organization run by volunteers, you can donate your unwanted goods knowing they’ll be passed on to people in need. Some home items and knickknacks are sold in the store in order to pay for transportation costs. They currently serve 27 local charities in Beijing and throughout China. Donate your old clothes, books, magazines, trinkets and other accessories, and pick up as-good-as-new goodies of like kind. Their exquisite fair-trade jewelry from Guizhou is also worth a look, with proceeds going directly back to the rural Chinese women who handcrafted them. Founded and run by Lejen Chen (of Mrs Shanen’s bagels fame), this six-hectare, closed-system organic farm boasts a huge range of fruits, vegetables and meats. They grow their own corn, wheat and soybeans to feed their livestock, and don’t use pesticides, herbicides or GMO seeds. The soil is also tested to ensure it’s free of chemicals. Contact the farm to find out how you can have organic produce delivered to your home. See Directory under "Places" for listing. Certified organic milk and yoghurt delivered cold to your door. Alternatively, find their products at Jenny Lou’s, April Gourmet and BHG Market Place (see Directory under "Supermarkets" for listing). This family-run organic farm has been delivering vegetables to Beijingers since 2004. The farm consists of a greenhouse growing over 100 types of vegetables and herbs year-round. Visitors can buy produce directly from their farm in Changping District, have a selection of vegetables delivered to their door each week, or collect their veggie parcels from any World Health Store. They also sell organic detergents, soap nuts, natural cleaners and assorted eco-products. For more organic farm listings, see Feature article here.